Set collection of pedestrians people walk. Women men robot dog. 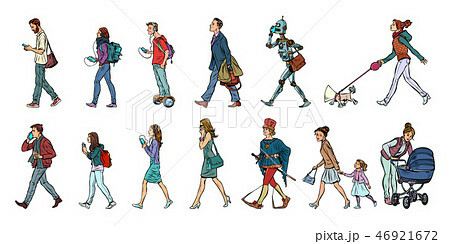 イラスト素材: Set collection of pedestrians people walk. Women men robot dog.